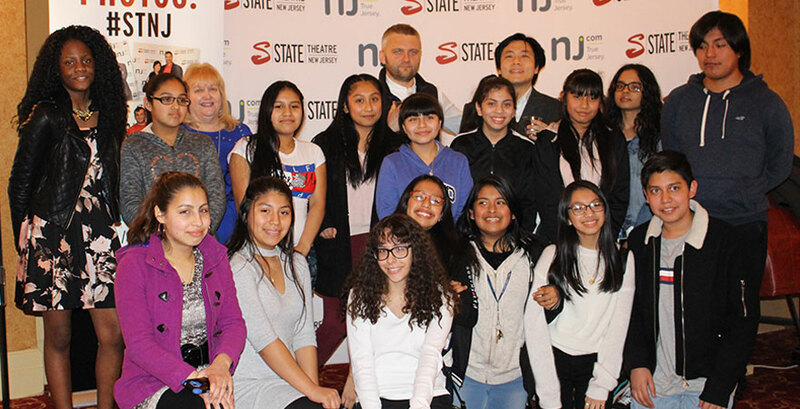 If you came to see the Staatskapelle Weimar at State Theatre New Jersey, you may have been under the impression that there was a school field trip attending the performance. A group of 100 up-and-coming musicians from New Brunswick Middle School, Paul Robeson Community School, and Lincoln Annex School had just enough time in their busy school schedules to attend the performance with their families. These students represent the Symphony Scholars, a free program presented in partnership with the New Brunswick School District, which provides opportunities for local students in the district’s orchestra program to attend classical performances at The State. To prepare for the event, our docent, conductor Michael Avigliano, meets in-class with the Scholars to teach them about each piece on the program: background on the composer, the musical intricacies of the work, and key elements to listen for. At a post-concert session, Mr. Avagliano leads students in a reflection on what they saw and heard. Each Scholar also receives support materials in the form of the State Theatre’s Keynotes study and performance guide, along with a CD comprising all of the music they will hear at the concert. They are also invited to bring a parent or other family member to the concert. While the Scholars’ couldn’t wait to hear a live performance of Beethoven’s music, they were even more excited to meet with the soloist and conductor. 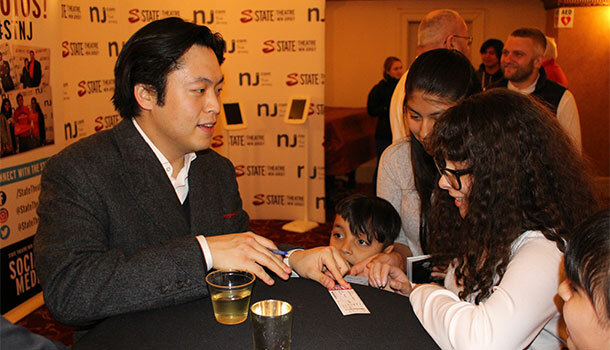 After the performance students had a chance to chat with soloist pianist Sunwook Kim and conductor Kirill Karabits, who shared stories about their musical education and encouragement for the young musicians. If you are interested in receiving the same kind of pre-concert preparation as our Symphony Scholars, make sure to check out our Classical Season Keynotes Study Guides, which provide perspective on the background of the music and the art form, things to watch and listen for during the performance, and a historical look at the composer, conductor, soloist, and orchestra. Support for Classical Education and Outreach is provided in part by The Frank and Lydia Bergen Foundation, The Blanche & Irving Laurie Foundation, and The Harold I. and Faye B. Liss Foundation.